This evening I made my first beautiful little bracelet / cuff. 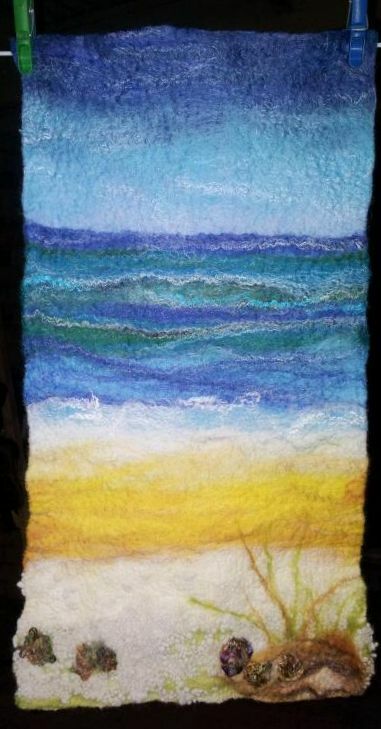 Inspired by the ocean, this unique piece of wearable art – “Ocean” Cuff Bracelet is wet felted with finest merino wool and silk tops, embroidered with lustrous cotton, and needle-felted with silk chiffon ribbon, then finished with glass beads and a mother of pearl button. Held together by easily opening/closing press-stud. I’m inspired to create a few more cuff bracelets in different colours. 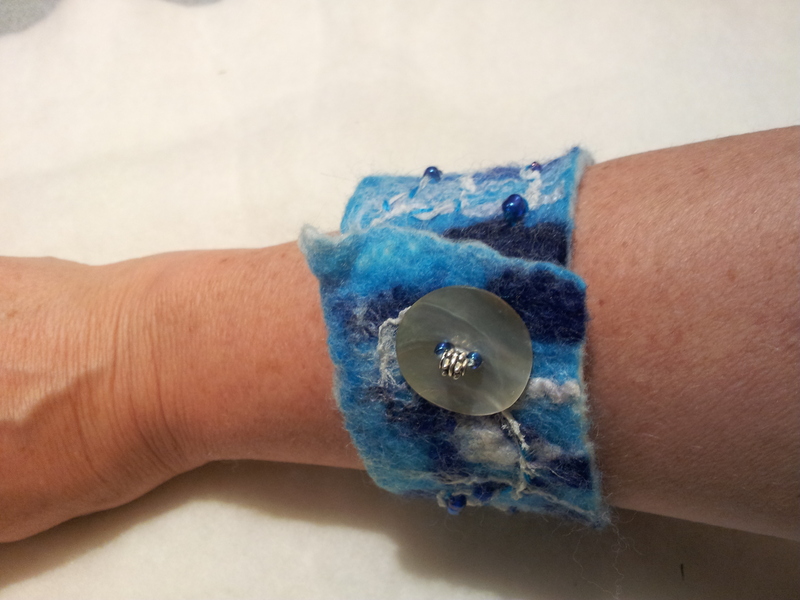 Meanwhile, here is a gallery showing different views of the Ocean cuff.